Recipe from Mary Wilson of the Supremes, Universal Sisters, National Minority Health Spokesperson. This is a great recipe for leftover grilled salmon. Serve over a salad of lettuce, chopped peppers or vegetables and sprinkle citrus vinaigrette. You’ve got a quick, easy and delicious meal. Arrange lettuce on plate, top with veggies. 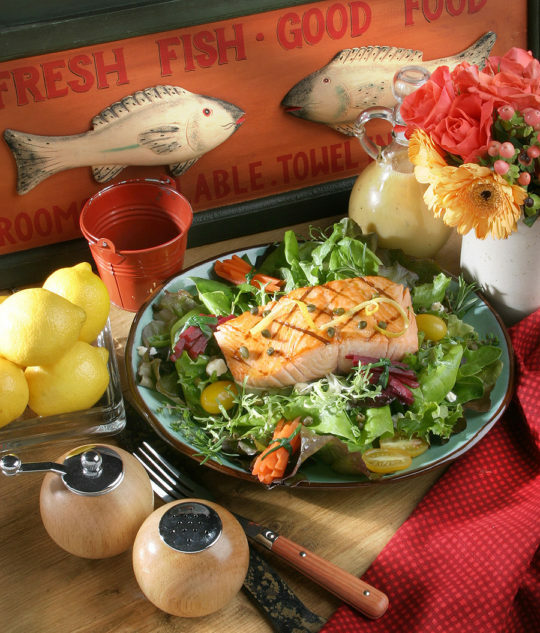 Place salmon on top and sprinkle with vinaigrette.